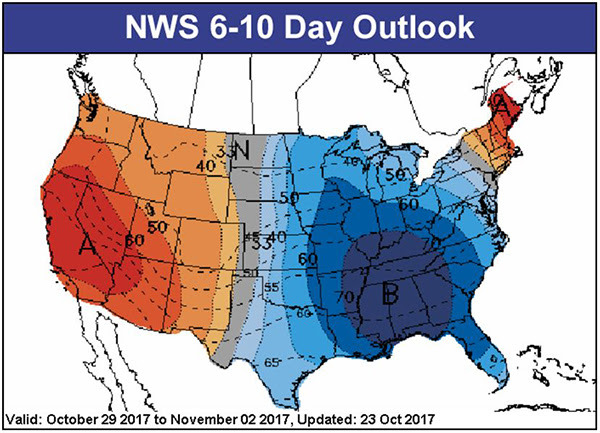 Natural gas withdrawal season is here, and it seems cooler heads are being overwhelmed by the cooler weather. 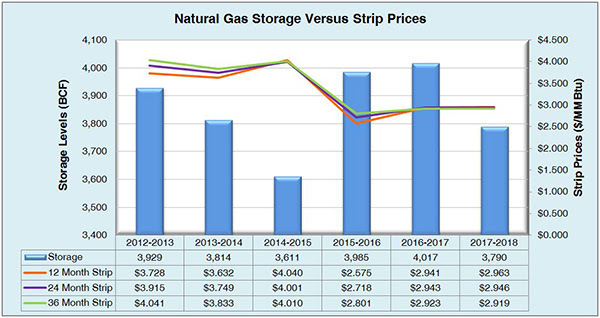 Today, the EIA released the natural gas storage report for the week ending last Friday, showing a slight build of 15 Bcf. This was right in line with market expectations, but by comparison, the 5 year average stands at 41 Bcf, and 54 Bcf was injected each of the previous two years. 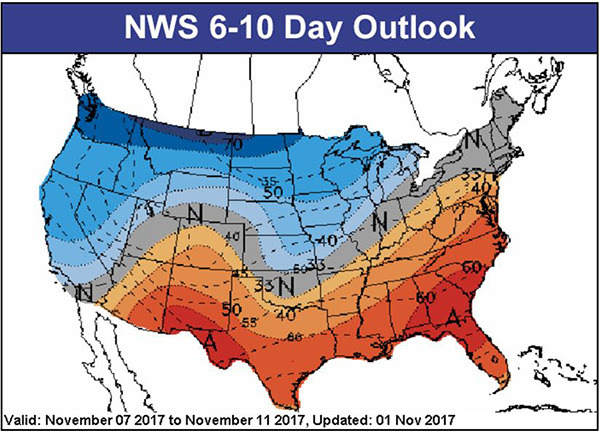 Updated weather forecasts have triggered a recent rally for Winter month natural gas contracts, and elevated short-term heating demand in the Northwest and Midwest should allow for little to no relief in sight. 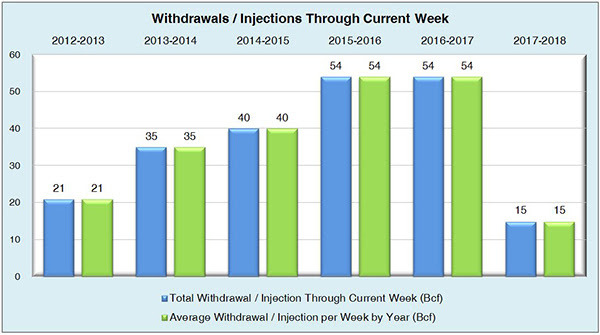 Working natural gas inventories currently stand at 3,790 Bcf. 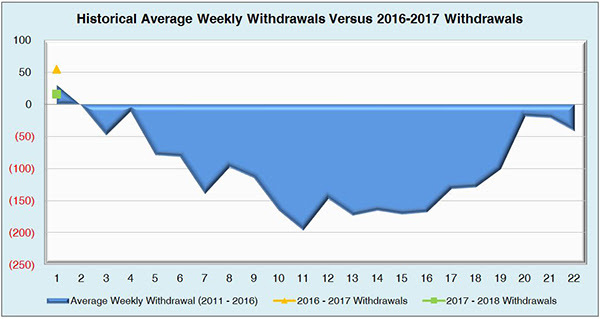 This figure is 219 Bcf (5.8%) less than this time last year and 71 Bcf (2.5%) below the five year average. The December 2017 NYMEX Future was elevated at $3.20/MmBTU before the report’s release, took a slight dip to $3.17/MmBTU, but quickly returned to the same level after the release.